Children are important participants in genetics research, and in genetics research involving children, IRBs must address the primary issues of privacy, confidentiality, informed consent, and the return of results. While these issues are not different than with other kinds of research, when these issues involve children they can present differently and are be more challenging to manage. The work and actions of investigators from Arizona State University who performed research beginning in 1990 on Havasupai Tribe serves as a case study for these issues. Issues involved with family studies, large population studies, data and tissue banks, and socially identifiable populations will be discussed. Children are important participants in genetic research, and IRBs are increasingly faced with the difficult questions that arise with research involving genetics, especially when children are involved. The human subjects issues raised by genetic research are not necessarily different from those raised by other kinds of research, but they present in different ways and may prove more challenging to manage. In one sense, the human genome is simply a rich database of personal information, similar to a patient’s medical record. Issues of privacy, confidentiality, informed consent, and return of results remain the primary issues that IRBs must tackle when confronted with protocols involving genetic information. To illustrate some of the complexities raised by genetic research, I would like to begin with a case study. Beginning in 1990, investigators at Arizona State University (ASU) collected more than 200 blood samples from members of the Havasupai tribe in an effort to describe genetic variants that might contribute to the increased incidence of diabetes among tribe members. Over the course of the following 10 years, those “banked” blood samples were also used by other investigators from a number of diverse disciplines to examine DNA variants linked to schizophrenia, alcoholism, metabolic disorders, and the geographic and anthropologic origins of the Havasupai people. This work resulted in more than 20 academic papers, including several that might be considered stigmatizing for members of the tribe (links to alcoholism and schizophrenia and one study that suggested high rates of inbreeding). [3,4] Particularly vexing to tribal leaders was a paper using DNA analysis to suggest that the Havasupai ancestors had crossed the Bering Strait and migrated from Asia. This “story” told by their blood directly contradicted the story told by tribe elders that taught that the Havasupai had originated in the canyon in which they lived and had been appointed as its guardian. The schizophrenia studies may have been performed despite knowing that such studies would offend the Havasupai. ASU Anthropology professor John Martin recruited Dr. Markow to do the genetic research. It is worth noting that most IRBs would have categorized all of the research involving blood samples collected from the Havasupai people as minimal risk, and while the original study required IRB review, it probably qualified for expedited review under the federal regulations. Furthermore, it is very possible that some or most of the follow-up studies could have been performed under an exempt determination, since they used existing specimens, as long as the data was recorded in such a manner that subjects could not be identified directly or through identifiers linked to the subjects. Defenders of the study point out that some of the research performed was important to understanding health problems that existed within the tribe, and that data from published surveys reveal that many people have no problem with their existing specimens being used for any scientific purpose. They also argue that setting too high a bar for consent to the use of DNA, tissue, blood, and data will ultimately interfere with important research. While that may all be true, it is also important that research be performed in a way that minimizes risk, and that responsibility is one of the primary roles of the IRB. As IRBs consider protocols that involve the use of genetic information, they must be aware of the potential issues that can arise in genetic research. While I do not have time and space to provide a comprehensive examination of these issues, I would like to highlight some of the important considerations that IRBs should be discussing. Family-based studies typically begin with identification of an index case. Enrollment of other family members is often of importance in addressing research questions, and it is usually accomplished through the assistance of the index case patient or the patient’s parent contacting relatives or releasing contact information to investigators. Family studies pose risks of loss of privacy and coercion. The risk to privacy is more likely and potentially more harmful than in other kinds of studies, since enrollment of family members may lead to unwanted disclosure of personal information about one family member to others within the family. For rare disorders, especially those with recognizable manifestations, just the publication of a family pedigree may increase the identifiability of family members to others. Finally, in genetic studies, it is not uncommon for matters unrelated to the disease under study to be inadvertently discovered and disclosed—for example, the disclosure of misassigned paternity. Several ethical concerns exist for participants enrolled in large population studies, and these studies must include appropriate procedures for informed consent and privacy protection. The value of large data repositories is that they allow the linkage of genetic data with other health-related data in an ongoing manner. When these repositories are created, the specific questions they might be used to address are frequently unknown or undefined and will evolve with time. Obtaining consent that allows participants to understand how their data will be used can be extremely difficult, as illustrated by the Havasupai studies. Two general approaches to informed consent have been suggested for the banking of genetic samples for future use: periodic re-consent and “blanket consent.” Periodic re-consent allows the participant or her surrogate to be updated regarding specific uses of the data within the database as they arise. This process has the further advantage of allowing pediatric patients to participate more fully in the assent and consent process as they grow older and to provide a legally valid consent upon reaching the age of consent. Periodic consent is most practicable in situations where the research plan involves the ongoing collection of additional data from enrolled participants. For data repositories derived from large numbers of participants where ongoing collection is not occurring, periodic consent poses significant disadvantages because of the administrative burdens and costs involved in tracking and contacting participants for a re-consent conference. The protection of data confidentiality is essential for large data sets. Information in data sets containing linked records that combine genome sequence data, health records, demographics, and other potentially sensitive information must be carefully protected from unauthorized disclosures, and IRBs should assure that protections are adequate. When sufficient information is collected, identification may be possible from the combination of data elements describing a particular research participant, even when identifiers are appropriately coded and protected. If substantial amounts of individual genome sequence are included in a database, a participant could theoretically be identifiable on the basis of the sequence data alone, through matching with a second comparative sample. While the extent of risk for these kinds of potential disclosures currently seems quite small, the risk could increase in the future. Consent forms should include these risks, and participants enrolled as minors should be informed about these possibilities and potential risks when they become adults. IRBs should carefully consider whether participants will be allowed to have their samples and data withdrawn from a repository. If possible, there should be a mechanism for withdrawal, and when not possible, the consent form should clearly state that this is not an option. Research findings may create unintended harms to the ethnic, religious, and social well-being of individuals within socially identifiable or isolated communities. Studies suggesting higher rates of inbreeding and exploring the geographic origins are two examples of this kind of potential harm. Research involving socially identifiable populations creates the potential for individual and group stigma: Genetic studies that identify genetic predispositions in a certain ethnic group, for example, may reinforce negative stereotypes, create misconceptions about people belonging to those groups, and impact marital, adoption, and child-custody opportunities. This is particularly true for genetic risks related to psychiatric problems or undesirable and criminal behaviors. Study findings that identify genetic predispositions within the community, particularly if they represent stigmatizing conditions, can lead to intra-community discord over participation in or support for the research by select members within the group. Research performed on readily identifiable populations can cause significant harm both to that population and individuals who belong to that population. Traditional forms of individual consent fail to protect against many of these harms, in part because of the focus on individual risks and benefits. Research designed to answer questions about readily identifiable populations should trigger a review of potential group harms, and strongly consider involvement of community members or leadership in the review of these projects. Return of results should be strongly considered if results are scientifically valid and reliable, have health implications for the individual, and could inform the use of some intervention that might improve the health outcome of the individual. For any result that is clinically actionable, the result should be confirmed in a lab that is CLIA-certified prior to the release of results to a patient or parent. In situations where family members or the research participant may also be affected by a clinically actionable health condition, the investigator should inform the participant of this fact and advise them to relay the information to those family members with the recommendation that they also get tested. Individual results not scientifically validated or replicated should not be released to participants. Results that do not have health implications, or would not inform the use of some intervention to improve the health outcome of the individual, require more careful consideration by IRBs regarding if, and how, results will be released to participants. This is particularly true when the participants are children. In situations involving children, disclosure of results that do not lead to changes in the care of the child potentially interfere with that child’s future right to decide about what they wish to know. As a general rule, individual results should be shared with a young child’s parent only when they are scientifically valid and reliable, have health implications for the child, and could inform the use of some intervention that might improve the health outcome of the child. Older adolescents may be capable of sufficient understanding that exceptions can be made to this rule with the assent of the adolescent. The consent form should be very clear about any plan for return of results (or intent not to return them). A mechanism should exist for reviewing whether unanticipated results of potential medical importance should be shared with participants. The focus of these decisions should be on the welfare of the participant. None of the ethical concerns that arise in pediatric genetic research is unique. However, certain concerns are more common in genetic research because of the study designs used for gene discovery. In addition, the power often accorded to genetic information in our society generates additional concern when a research study involves collection of genetic information. Issues of privacy, confidentiality, informed consent, and return of results represent the primary ethical concerns that IRBs and investigators must struggle with in designing and reviewing studies involving the use of genetic information. 1 Sterling RL. Genetic Research among the Havasupai: a cautionary tale. Virtual Mentor. February 2011; 13(2): 113-117. https://journalofethics.ama-assn.org/article/genetic-research-among-havasupai-cautionary-tale/2011-02. 2 Hart S, Sobraske KA. 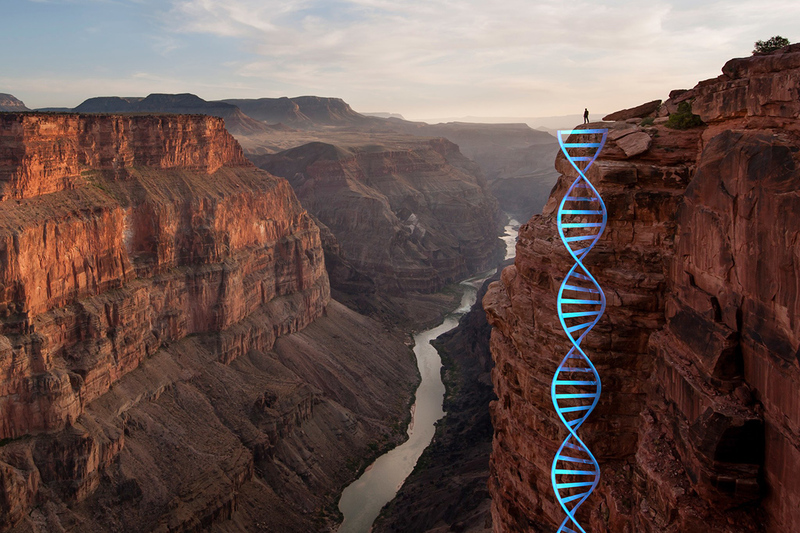 Investigative report concerning the medical genetics project at Havasupai. Arizona State University Law Library. December 23, 2003. In Garrison NA, Cho MK. Awareness and Acceptable Practices: IRB and Researcher Reflections on the Havasupai Lawsuit. AJOB Primary Research. 2013; 4(4): 55-61. https://www.ncbi.nlm.nih.gov/pmc/articles/PMC5310710/. 3 Hedrick PW, Black FL. HLA and mate selection: no evidence in Southern Amerindians. Am J Hum Genet. 1997; 61:505-511. https://www.ncbi.nlm.nih.gov/pmc/articles/PMC1715963/. 4 Markow T, Hedrick PW, Zuerlein K, Danilovs J, Martin J, Vyvial T, Armstrong C. HLA Polymorphism in the Havasupai: evidence for balancing selection. Am J Hum Genet. 1993; 53:943-952. https://www.ncbi.nlm.nih.gov/pmc/articles/PMC1682387/. 5 HAVASUPAI TRIBE OF HAVASUPAI RESERVATION v. ARIZONA BOARD OF REGENTS. Court of Appeals of Arizona, Division 1, Department D. Nos. CA-CV 07-0454, 1 CA-CV 07-0801. Decided Nov 28, 2008. http://caselaw.findlaw.com/az-court-of-appeals/1425062.html. 6 Lowenberg K. The Havasupai case and how to make consent forms better. Stanford Law School. SLS Blog. https://law.stanford.edu/2010/04/23/the-havasupai-case-and-how-to-make-consent-forms-better/. Accessed 20 Mar 2018. 8 Havasupai Tribe and the lawsuit settlement aftermath. American Indian & Alaska Native Genetics Resource Center. National Congess of American Indians. http://genetics.ncai.org/case-study/havasupai-Tribe.cfm. Accessed Mar 20, 2018. 9 Burke W, Diekema DS. Ethical Issues Arising from the Participation of Children in Genetic Research. J Pediatr. (Supplement) 2006; 149 (1): S34-S38. 10 Mello MM, Wolf LE. The Havasupai Indian Tribe case—Lessons for research involving stored biologic samples. New Engl J Med. 2010; 363: 204–207. http://www.nejm.org/doi/full/10.1056/NEJMp1005203. Accessed 20 Mar 2018. 11 Caulfield T. McGuire AL, Buchanon JA, Burgess MM, Danilczyk U et al. Research ethics recommendations for whole-genome research. PLoS Biology. 2008; 6(3): e73 (430-435). http://journals.plos.org/plosbiology/article?id=10.1371/journal.pbio.0060073. 12 Brothers KB, Holm IA, Childerhose JE, Antommaria AH, Bernhardt BA, Clayton EW, Gelb BD, Joffe S, Lynch JA, McCormick JB, McCullough LB, Parsons DW, Sundaresan AS, Wolf WA, Yu JH, Wilfond BS; Pediatrics Workgroup of the Clinical Sequencing Exploratory Research (CSER) Consortium; Pediatrics Workgroup of the Clinical Sequencing Exploratory Research CSER Consortium. When participants in genomic research grow up: contact and consent at the age of majority. The Journal of Pediatrics. 2016 Jan; 168: 226-231.e1.https://www.ncbi.nlm.nih.gov/pubmed/26477867. 13 Lowrance WW, Collins FS. Identifiability in Genomic Research. Science. 2007; 317(5838):600-602. http://science.sciencemag.org/content/317/5838/600. 14 Jarvik GP. Return of genomic results to research participants: the floor, the ceiling, and the choices in between. Am J Hum Genet. 2014;94(6): 818-26. https://www.ncbi.nlm.nih.gov/pmc/articles/PMC4121476. Accessed Mar 20, 2018. 15 Ziniel SI et al. Parents’ preferences for return of results in pediatric genomic research. Public Health Genomics. 2014; 17(2):105-14. https://www.ncbi.nlm.nih.gov/pubmed/24642506. Accessed Mar 20, 2018. 16 Hallowell N, Hall A, Alberg C, Zimmern R. Revealing the results of whole-genome sequencing and whole-exome sequencing in research and clinical investigations: some ethical issues. J Med Ethics. 2015; 41:317-321.https://www.ncbi.nlm.nih.gov/pubmed/25038088. 17 Lakes KD et al. Maternal perspectives on return of genetic results: context matters. Am J Med Genet A. 2013 Jan; 161(1): 38-47. https://www.ncbi.nlm.nih.gov/pmc/articles/PMC3535554/. Accessed Mar 20, 2018. 18 Garrison, NA. Considerations for returning research results to culturally diverse participants and families of decedents. J Law Med Ethics. 2015 Fall; 43(3):569-575. https://www.ncbi.nlm.nih.gov/pmc/articles/PMC4617668/. 19 Harmon, Amy. Indian tribe wins fight to limit research of its DNA. The New York Times. Apr 21, 2010. https://www.nytimes.com/2010/04/22/us/22dna.html.